3 trusty blades for field or display. 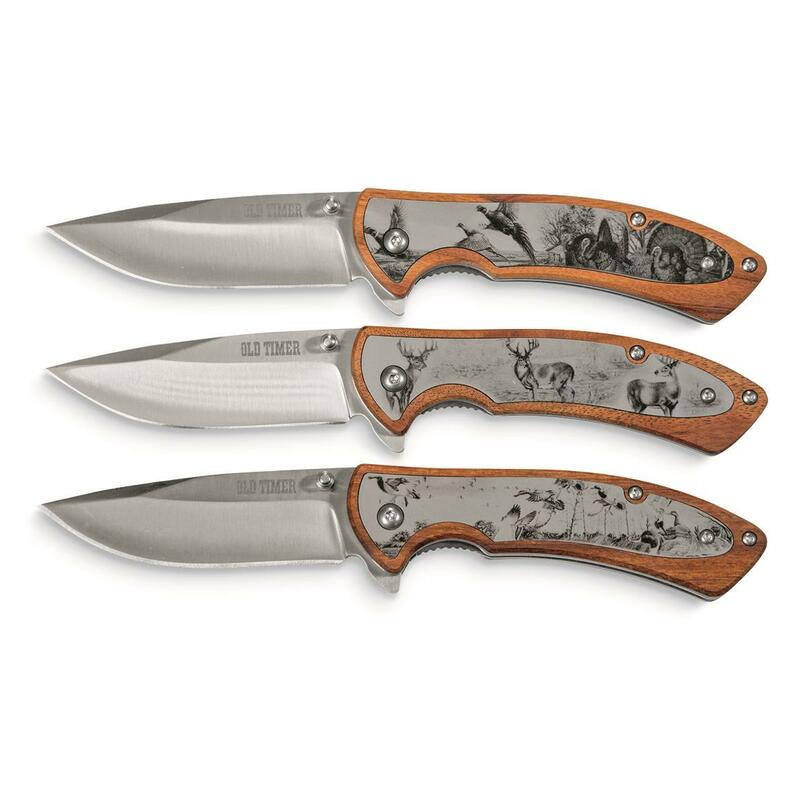 A trio of handsome blades, crafted with the traditional Old Timer® eye for detail. 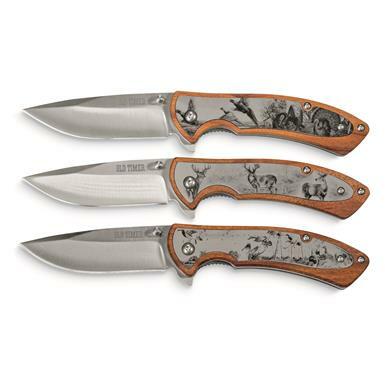 Each handle puts a different wilderness mainstay in the spotlight: Whitetail Deer, Turkey, Waterfowl. Ready for a trip out into the Great Outdoors. Or keep them handy on the job to remind you of the coming weekend. 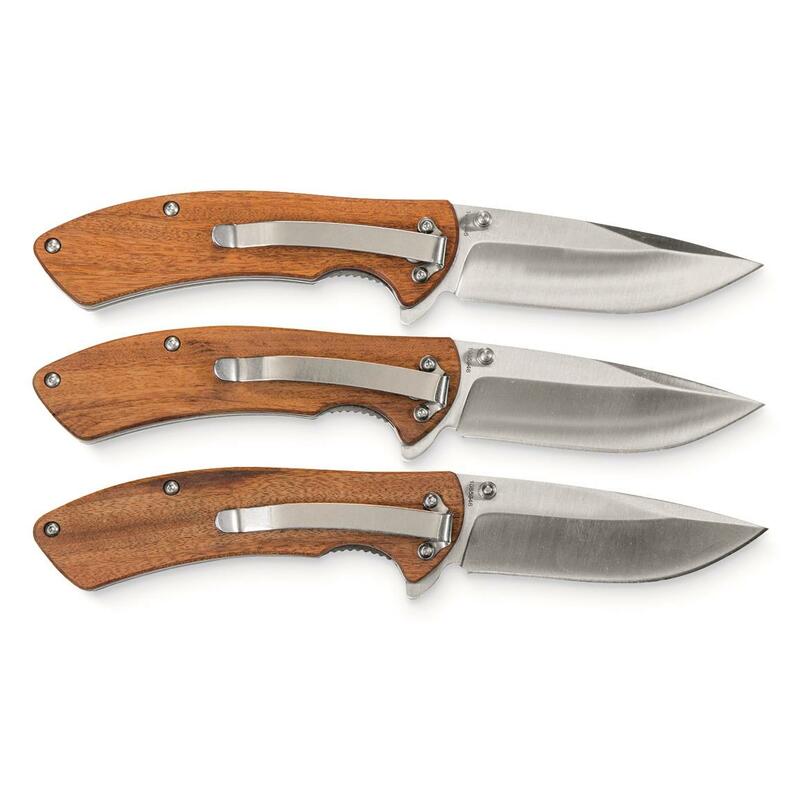 Old Timer Wood Etched Folding Knife Set, 3 Piece is rated 4.3 out of 5 by 4. Rated 2 out of 5 by Jake123 from Look Great but wont hold up to use Got a set on clearance. Picked one and carried it for a few days. With very mild use the screw on the plate came out and the screws holding the clip on both stripped out. Just buy them to look pretty, don't plan on using them. Rated 5 out of 5 by EddieB from quality knife The price for the set is great. Rated 5 out of 5 by Roger from Loved the price This was a Birthday gift for my Grandson and he loved it.